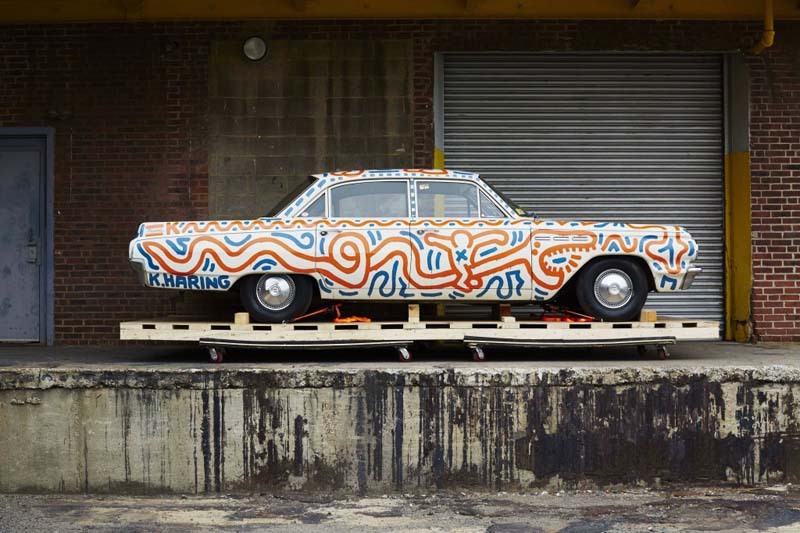 Last month at Art Basel Miami, Venus Over Manhattan Gallery curated an exhibition titled Piston Head: Artists Engage the Automobile. Fourteen cars converted into sculptures by well-known contemporary artists since 1970 were on view at the spectacular open-air parking garage, 1111 Lincoln Road, designed by Herzog & deMeuron. 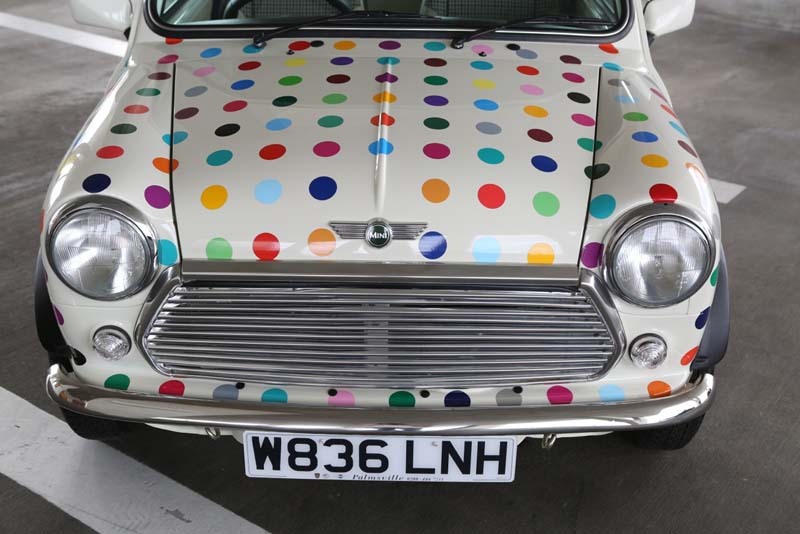 The exhibit included works by Keith Haring (top), Damien Hirst (dotted Mini Cooper), Kenny Scharf (3rd from top), Ron Arad (pressed car), Bruce High Quality Foundation (VW Beetles), Franz West’s 1970 Rolls Royce, as well as eight more artists. This entry was posted in Art, Event, Pop Culture, Street Art, Stuff We Like. Bookmark the permalink.